Twins have been together even before they received life. They've been together from the moment they were inside their mother's belly. They have parts that resemble each other, but sometimes they have surprisingly different personalities. And yet, when you see a pair of twins snuggle with each other, you will realize that some things in the world really are wondrous. Identical twins are so similar that even their close friends cannot distinguish them. Having someone who looks exactly like you must be a miracle! It isn't hard to imagine that twins are able to communicate with each other without words, just through their feelings, without letting anybody interfere with their bond. 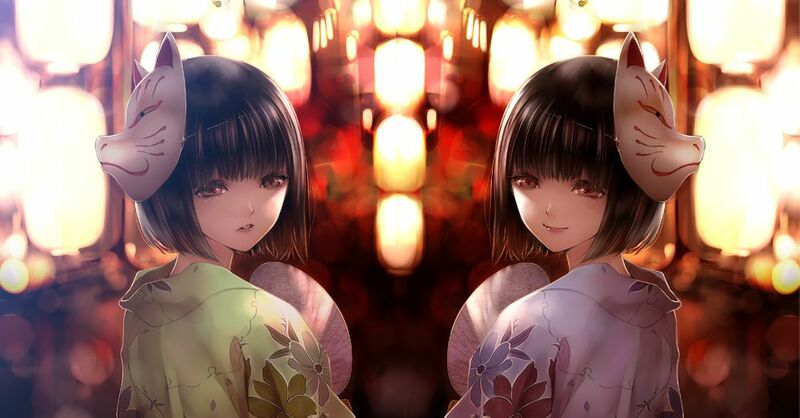 Today we're featuring illustrations of twins. Enjoy!